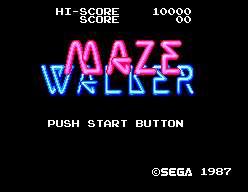 Maze Hunter 3-D / Maze Walker (メイズウォーカー / 메이즈 워커) - Games - SMS Power! TRAPPED! Above you is the star-filled void of space. Below...a mysterious, misting maze filled with unknown dangers! 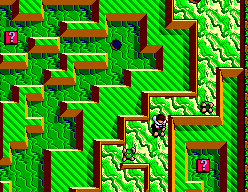 To survive this maze you'll have to fight your way to the bottom! 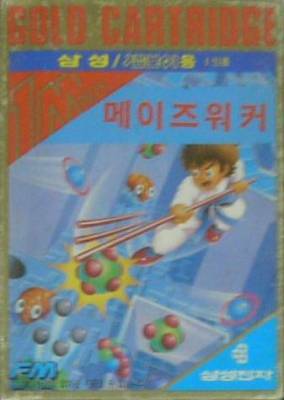 Put on your SegaScope 3-D glasses™. 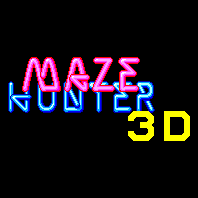 The maze comes to life with 3-D graphics that will blow you away! The walls are so high they'll make you dizzy! 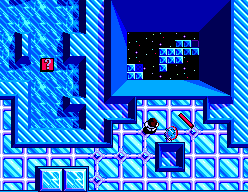 Five areas and twenty levels...and countless dead ends. And, of course, the evil maze creatures! 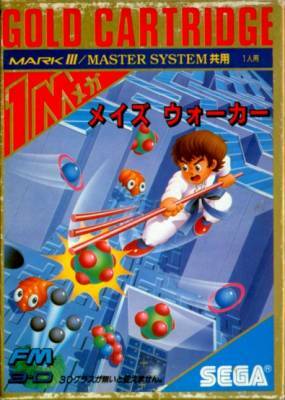 If you're fast enough you can try to jump over them. 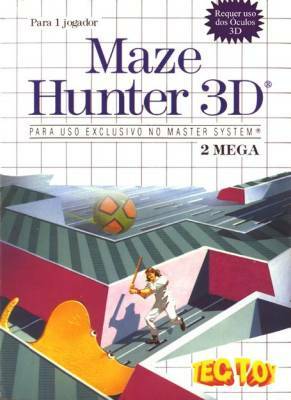 But find the maze weapons and you can hunt them down! 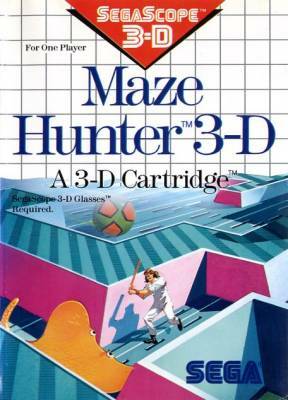 If you make it to the bottom, you'll earn the title of maze hunter...and become a legend.